April 27th, 2019, Port Sanilac Marina welcomes you from noon to 4pm. The BENETEAU Oceanis 41.1 will be featured. Join them for a free BBQ lunch and drinks. See you there! Patrice Guenole is the owner of Gong Force One, a BENETEAU Swift Trawler 35 with a unique purpose. Learn about Patrice and how he creates a lifetime of fun and innovation on his BENETEAU Swift Trawler 35. Make the Annapolis Spring Sailboat Show part of your plans from April 26 - 28! Join Annapolis Yacht Sales and tour our newest BENETEAU Oceanis 46.1! Together with our country-wide network of dealers, our service providers are committed to the satisfaction of our owners. BENETEAU Oceanis 55.1: Designed for the owner - Luxury, Accessibility and Easy of Use! Would you like to jump aboard for a sea trial? Make the Newport Boat Show part of your week plans! 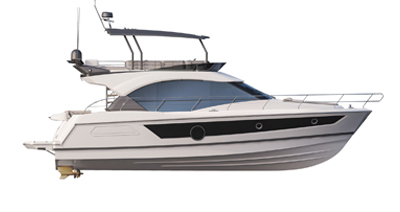 From April 25 to 28, our newest BENETEAU Antares 23 and Barracuda 23 will debut on the West Coast! Join South Coast Yachts, San Diego & Newport Beach Beneteau Dealer and tour them! It's Earth Day! Will you be on the water today celebrating?